The plant Proserpinaca Palustris sometimes also known as Mermaid Weed is a common aquatic plant that is well spread out in the South Eastern United States as well as South America. The plant is known to grow in wetlands although it grows in variety of conditions due to its tolerant nature to varying conditions. The plant usually exhibits a variety of characteristics in the way it looks and grows. The plant has grown into a wide range of varieties that are dependent on the region it grows in. 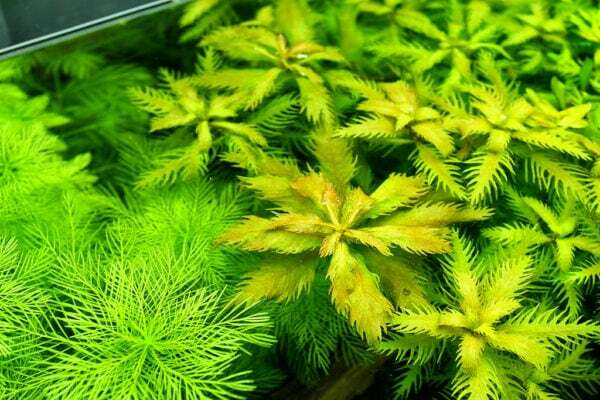 It is a good aquatic plant even for the beginners in the hobby because it easily adapts to changing conditions. The plant is considered by many as one of the most beautiful freshwater aquarium plants owing to its leaves that look intricate and the vivid coloration the plant exhibits. It can be grown as a freshwater aquarium plant to help give the aquarium a great look. It is one plant that if given the right growing conditions will help make a great addition to your aquarium owing to the beauty that its leaves usually exude. When grown in an aquarium setting, it is best to offer it sufficient carbon dioxide supplementation. The plant isn’t so demanding therefore as a beginner you can actually take it home to grow it in your own aquarium. The plant has got an overall beautiful appearance and can make a great addition to your aquarium. The plant features leaves that look saw-toothed when growing freely in the wild but when grown in an aquarium setting will slowly grow leaves that are long and look needle-like in shape. The plant usually turns to look stunningly beautiful when grown under good lighting conditions. It is known to turn to copper coloration with sufficient lighting offered to it. Basically the various species of the plant are known to exhibit varied leaf appearance. The leaves of the submersed plant usually grow to between 5 to 10 centimeters long. They are also usually feather-like divided although some of the leaves will show hair-like leaflets. As for the emergent leaves of the plant, the leaves usually show blade-like appearance. This may change as per the region where the plant is growing in. The plant is known to grow in freshwater areas such as shallow water ponds, slow moving freshwater springs, muddy shores or lakes, along river banks etc. The plant usually grows either as submerged pond plant or emergent water plant i.e. its roots growing in shallow water but much of its shoot above the water surface. Because the plant is known to get most of nutrients from the water that it grows in, it usually makes the water it grows to look very clear. 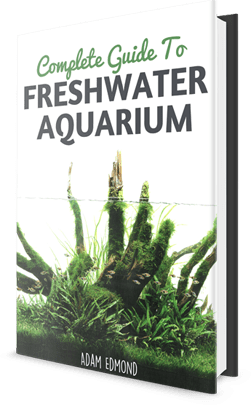 The plant is moderately easy to cultivate and is a good option for beginners who are just getting started in aquarium plant cultivation. It is usually re-grown by way of cuttings which must be done carefully for any success to be achieved. New plants usually grow by way lateral shoots that shot off from the original plant once chopped off from the parent plant. Once the cuttings are obtained, they can be planted by being inserted into the substrate where growth of the plant is desired. With time, the cuttings will slowly grow roots and thus become independent plants in their own right. Proserpinaca Palustris is to be grown in fresh water with fertilizer to help enhance its growth. It grows better in an environment with medium to bright light. Under these light conditions the plant will show its characteristic coloration. Addition of carbon dioxide into the water helps to achieve its full potential growth. Ensure that the nitrates levels in the tank are kept to their lows for better growth of the plant. It doesn’t grow fast and even with proper supplementation of the necessary nutrients it will grow at a relatively slow pace. This makes it a great addition to small tanks where it can be used as a center of dominance in the middle ground or fore ground of the aquaria. The plant is known to be a slow grower even in enhanced environments. With sufficient light and sufficient carbon dioxide supplementation, the plant has the tendency to exhibit deed orange-red color especially on its leaves. In an environment with high nitrate levels, the plant is said to condition the plant to exhibit light orange to fading green hues. Remember these colors are usually not pleasant if you are looking for something to make your aquarium look elegant and beautiful. The plant doesn’t grow too high and therefore is a great choice for aquarists who prefer shorter aquatic plant varieties. Due to the slow growth rate of Proserpinaca Palustris it is usually used in small tanks where fast growing plants are not an option. It makes a great addition in the mid regions of the aquarium adding vibrant color hues there. Because it is known to take in nutrients from the water it is also a great choice of an aquarium plant to be used for water purification. Its finely arranged leaves really give out an outstanding look! Proserpinaca Palustris is a good aquarium plant that native to the Eastern seaboard of the USA, the South Eastern region of the USA, a number of the Caribbean Islands as well as parts of South America. The plant is known to inhabit freshwater ponds, small river banks, and related wetlands. It is a favorite amongst small aquarium owners for its slow growth rate and relatively short height.